How to create a new role which has access to few commands of an entity? 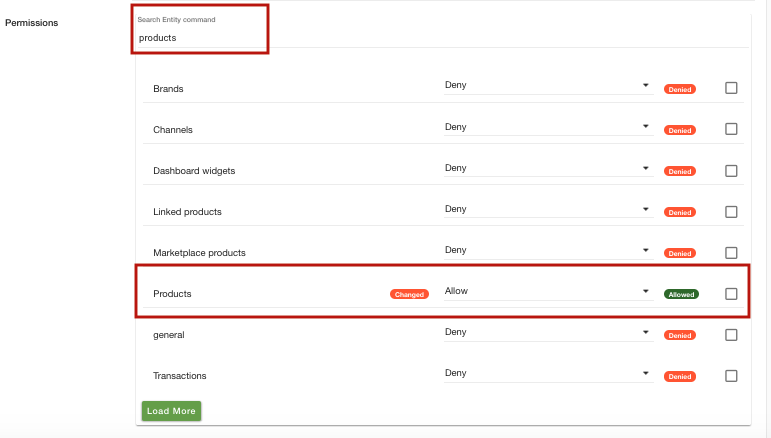 You want to create a role in which the role will be able to see the product section. The role will be able to add the products but cannot delete the existing ones. 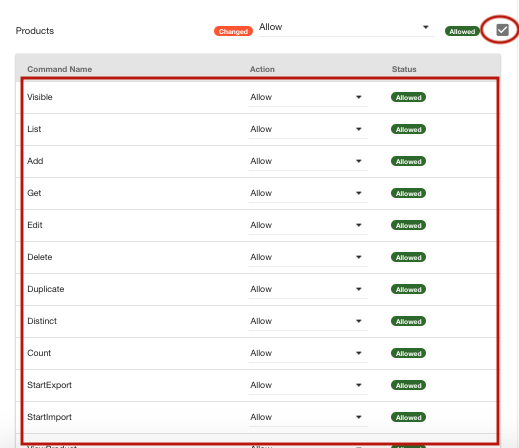 StoreHippo provides you with the functionality to define custom roles for your users. You can restrict the users from accessing a specific entity or section. 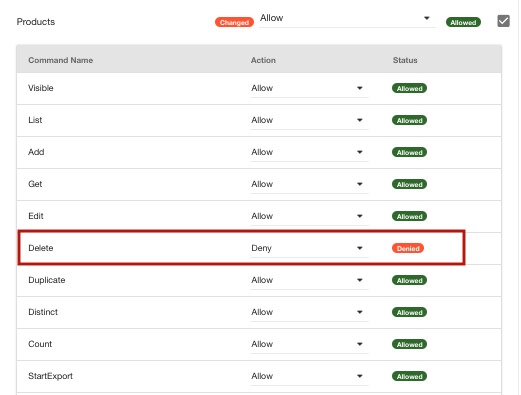 Go to Advance settings > Roles section in StoreHippo Admin Panel. Click on Add New button to create a role. In the appeared form, enter the Name as 'New role'. Select the Give Admin Login Access check box to give access to the admin panel to the role. 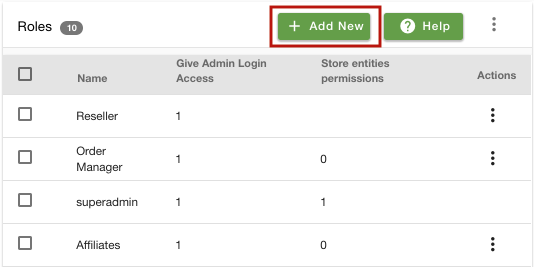 Select the Store Entities Permissions check box to the role the permission to access store entities. Select the Type as 'Granular'. Search for 'Products' entity in the search bar. Go to the 'Products' in the given list and choose 'Allow' from the drop-down. Select the checkbox against the products. It shows the list of all the commands in the product entity. Find the Delete command. Choose the "Allow" from the drop-down. 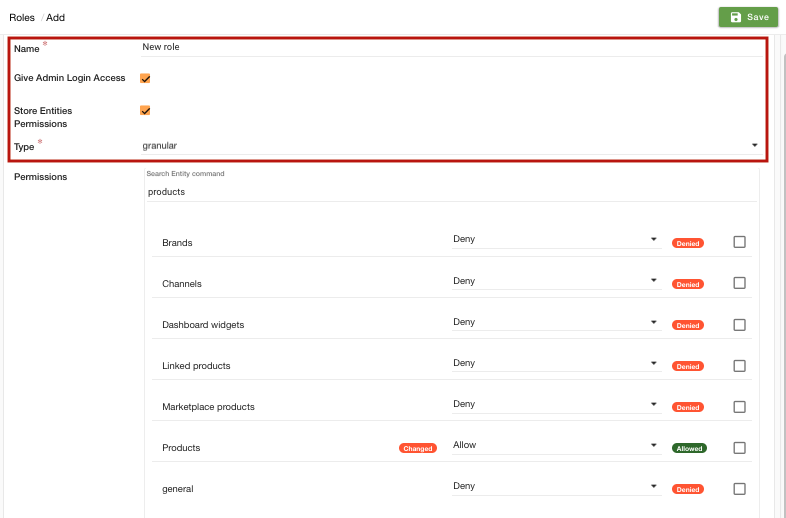 Go to Users > Users section in StoreHippo Admin Panel. Edit the existing user or add a new user. Go to the field 'Role' and select a role from the drop-down.